MANILA – A martial law veteran and a University of the Philippines political analyst lament how people have moved on from the martial law era for different reasons. This, as the country marks the 43rd year since the declaration of martial law. 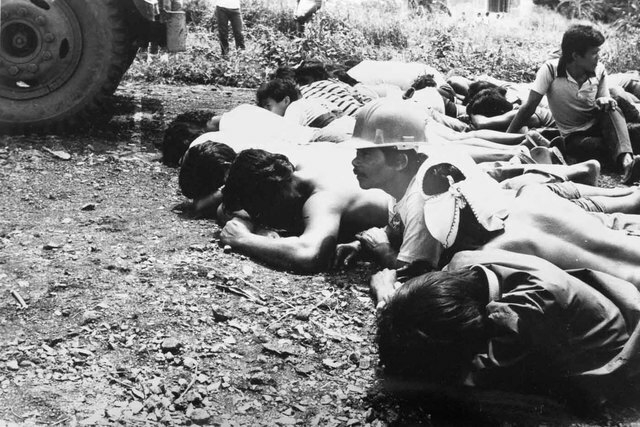 Thousands of Filipinos were said to have fallen victim to human rights abuses while the Marcoses allegedly amassed millions of dollars during the martial law era. The Marcos regime was finally overthrown in the wave of protest movements that culminated in the EDSA People Power revolution in 1986 and restored democracy to the country. Former Senator Rene Saguisag lamented that Filipinos are too forgiving. “Filipinos have short memories. Ngayon, bumisita Japanese [prime minister] sa war shrine, there would be rioting in [South Korea] and China. Tayo, mga 1950s pa lang pinatawad na ang mga Hapon. Yung mga Hudyo, hina-hunting pa yung mga Nazi abusers. Kaya to me, we should tell the youth Marcos ravaged our institutions, our values, our processes. We don’t take seriously George Santayana’s warning [that] those who don’t remember the past are condemned to repeat it,” he said. University of the Philippines public administration and governance Prof. Prospero de Vera said people tend to forget the difference between martial law and the time after it because there really was no difference in the lives of the people. De Vera said people’s lives did not really improve after martial law. All that’s left are the physical infrastructures built during the martial law era, which have become reminders of the grandeur. “I don’t think people have forgotten. Problem is – their lives have not improved. The poor are still poor. Infrastructure has not improved and governance has not improved so people are unable to differentiate between martial law and subsequent administrations. Therefore, when you try to create people’s anger against what happened towards martial law, anger is dissipated because they are still as angry now as before about the problems that have not been solved,” he said. The UP professor said people must continue to discuss martial law and hold leaders accountable for long festering problems. “We must tell some of problems of martial law are problems we have not attended to till now. Presidents have failed to address problems that occur during martial law,” he said. Saguisag said people don’t even commemorate the right day when martial law was put into effect, marking September 21 instead of September 23 of each year. Then President Ferdinand Marcos declared martial law on September 23, 1972 but he later on claimed it was declared on September 21, 1973. The former senator said September 21, 1972 was an ordinary day for him. He said he monitored a political rally at Plaza Miranda on that date. The next day, September 22, 1972, was also uneventful, which is when then Defense Minister Juan Ponce Enrile was allegedly ambushed. It become one of the bases for the martial law declaration. Saguisag said it was actually on September 23 when radio and TV stations stopped broadcasting. He recalled getting a phone call from the late Raul Roco who suggested they stay together in case they get arrested. When they reported for class at San Beda College that day, only two students showed up – Byron Bocar and Alex Almario. It was in the evening of September 23 when they watched then information minister Francisco Tatad reading the declaration of martial law on TV. Saguisag said he called then Senator Jovito Salonga at the Senate and found out that the Senate had been shut down. He also pointed out Marcos was determined to extend his term. “Kaya I don’t know what difference it would have made. Maybe it could have spelled the difference but that’s just conjecture and speculation on my part,” he said. De Vera expressed doubts any martial law declaration would fly in the age of social media. “I’m sure the ones running government would try to do it. I don’t think it would be successful because it’s so difficult to control mass media especially because Filipinos are adept at finding ways of dissent,” he said. Saguisag also lamented the missed opportunities of martial law. “Well, kasi kung si Macoy naging Lee Kwan Yew, kapakanan pambayan, hindi pansarili, pampamilya, pang-crony, we might have progressed and we in the human rights movement might have been in the fringes. Naging problema, umasenso Singapore. Tayo naging basket case,” he said.